FIVE high profile mixed-use development sites are being offered for sale within the rapidly-growing town centre precinct at Sippy Downs. The owners are currently in the process of subdividing the 2ha corner parcel of land into five allotments. 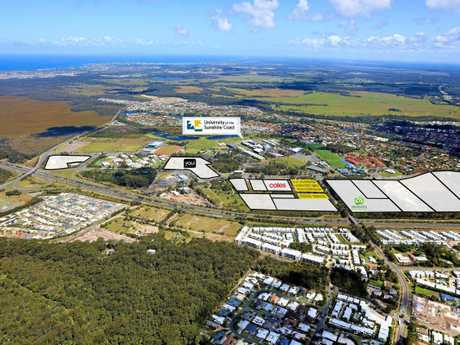 Exclusive marketing agent CBRE, said the five lots would range in size from 1849sq m to 4602sq m.
The lots are adjacent to the new Sippy Downs Coles supermarket, which opened in December 2016. 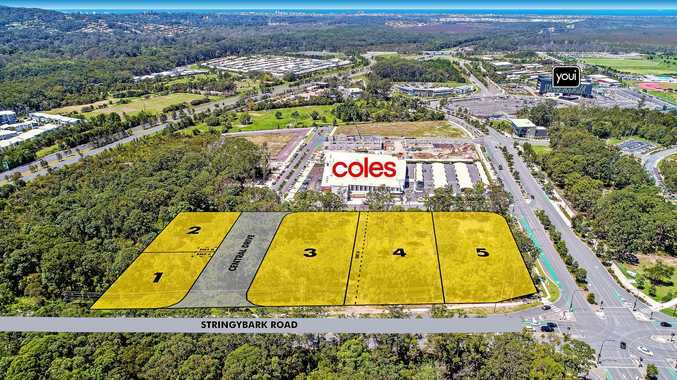 The property is situated opposite the University of the Sunshine Coast entrance and is within 1.2km of the existing Chancellor Park business village and Woolworths. The purpose of the Major Centre zone is to complement the role of Maroochydore's CBD and offer a range of services at the heart of Sippy Downs, which currently has a population of approximately 10,000. CBRE managing director Rem Rafter said the development lots offer a prime opportunity for staged development, timed to coincide with the overall growth of Sippy Downs and Palmview. Mr Rafter said the Major Centre zoning supported retail, hotel, commercial and high-density residential development (a minimum of 50 equivalent residential dwellings per hectare) and a height limit of up to 25metres. CBRE's Brendan Robins said civil works are due to start on site in March, with title likely to be issued in mid-2018. The development lots are priced from $1.3m to $3.65m. The fast-growing Sippy Downs precinct has already attracted a range of residential, commercial office, retail and community facilities. They include stage one of the newly-opened international headquarters of insurance group Youi. The 12,500sq m, four-level building opened in November and will house 1000 staff, with substantial plans for future growth. Developer Evans Long is developing a 3556sq m two-level convenience centre at 123 Sippy Downs Dr, adjacent to the existing Coles supermarket. The Central retail complex will accommodate national and local tenancies, including food and beverage, retail and commercial businesses. Nearby, Brisbane developer Habitat Cleighton Clarke is seeking approval for the Botanica apartment project after completing two medium-rise residential projects on the same site. Botanica will comprise 84 apartments, a mix of one, two and three-bedroom dwellings. 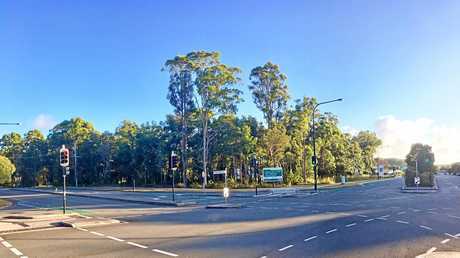 The growth of the Sippy Downs precinct is underpinned by the ever-expanding University of the Sunshine Coast, which aims to have 20,000 students enrolled in the next five years.